Eugenia Lim, The People’s Currency, 2017, performance, dimensions variable. 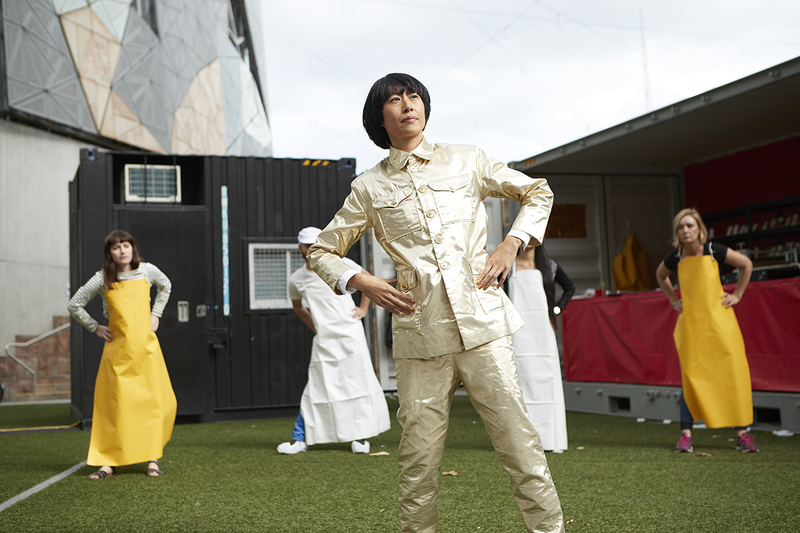 This project was commissioned by 4A Centre for Contemporary Asian Art, supported by the City of Melbourne and part of the inaugural Asia TOPA Triennial of Performing Arts. Photo by Zan Wimberley. We are very pleased to announce we have received funding through Visions of Australia for our upcoming tour, Eugenia Lim: The Ambassador. Visions of Australia is the Australian Government’s program to support audience access to Australian arts, particularly in regional and remote Australia – a mission embodied in M&G NSW’s touring program, with this tour travelling to eight regional venues nationally over the next 3 years. Eugenia Lim is an Australian artist of Chinese–Singaporean descent who works across video, performance and installation. She transforms herself in her work into invented fictional personas who traverse through time and cultures to explore how national identities and stereotypes cut, divide and bond our globalised world. 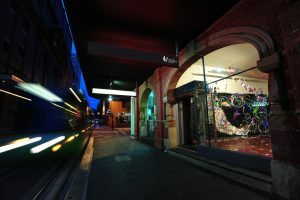 This tour was initiated by 4A Centre for Contemporary Asian Art and Museums & Galleries of NSW, and it presents Lim’s most recent body of work, The Ambassador series. In this three-part project, Eugenia takes on a Mao-like persona who sits halfway between truth and fantasy – dressed in a gold lamé suit and matching bowl haircut. Throughout each of her works, the Ambassador takes on new roles in uncovering the Australian-Asian narrative – drilling down into racial politics, the social costs of manufacturing and the role of architecture in shaping society. We are also excited to announce The Ambassador tour will be kicking-off at the Adelaide Festival this March as part of the Samstag Museum of Art’s new Adelaide//International series of exhibitions. The Ambassador will feature alongside work by celebrated artists Brook Andrew (Australia), Lisa Reihana (New Zealand) and Ming Wong (Singapore). The opening weekend will feature an artists’ forum and live performances by Lim of The People’s Currency. Borrowing its name from the renminbi (China’s Currency), The People’s Currency turns the gallery into ‘Renminconn’, a closed-loop ‘special economic zone’. Within this zone Lim, dressed as the Chairman Mao-like, gold-suited Ambassador, stands over her factory of counterfeit money-printing and ceramic imitation electronic consumer goods. As the Ambassador, Lim invites the public to enter into ‘short-term employment’ as shift workers on her factory floor, completing a menial yet meditative task. Based on her satisfaction with the completed product, she will remunerate the ‘employee’ with her counterfeit notes printed on site – The People’s Currency. For more information on Adelaide//International and to experience Eugenia Lim’s live performance visit the Samstag Museum of Art website.